Set aboard a doomed space station in which the flow of time has stopped, Constant C has you playing as a rescue robot navigating the paused wreckage to save the station and its survivors. 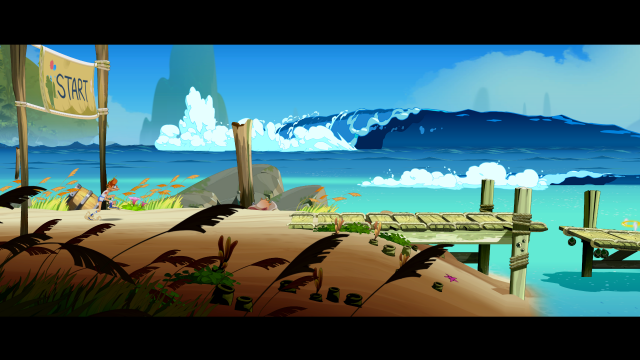 Constant C is a 2D-platformer boasting gorgeous soft blues and reds on a jet-black background. As the rescue robot, you will manipulate time and space to overcome the puzzles and challenges you’re pitted against. The time manipulation is based on your touch; whatever you touch returns the object to the flow of time, such as blocks paused in mid-fall. The gravity manipulation consists of tilting the 2D screen in 90-degree rotations. Both abilities will be crucial to traversing the 100+ mind-blowing stages. 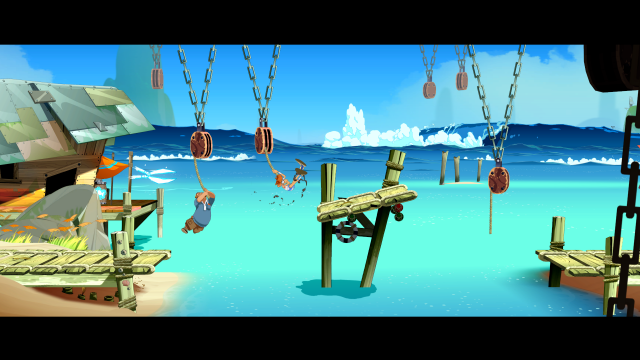 Met with favorable reviews on PC, Constant C is now on its way to XBLA this spring. 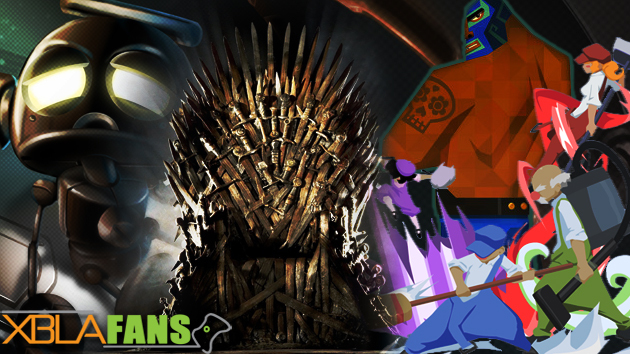 We spent last week ringing off 40 of the year’s biggest upcoming XBLA games. It was a collaborative process that saw the whole XBLAFans team put together a varied list of many of the top titles headed to Microsoft’s downloadable platform in 2013. Today we’re capping off our look forward with our staff members’ picks for the game each of them is aching to play most in the months ahead. You don’t have to agree with any of us, of course, so make sure you jump into the comments and let us know the game you think should be at the top of everyone’s list. Here we are once again at the start of what’s sure to be another fantastic year of XBLA releases. Each day this week XBLAFans will be rolling out a list of eight of our most anticipated Xbox Live Arcade releases of 2013. 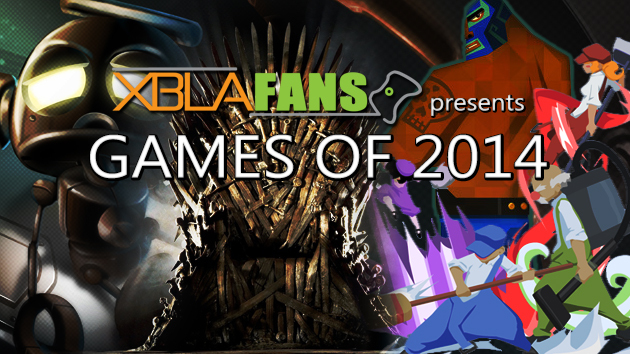 While we can’t possibly cover every single XBLA game planned for this year, we’ll be giving you a varied list of 40 of the most promising titles we expect to release on XBLA in 2013. Once it’s all done, be sure to check back in next Monday when each staff member makes his/her picks for the game he/she is most looking forward to. Harold is a platforming/racing game, but not as you would expect. Far from charismatic or capable, the protagonist Harold is an embarrassment with legs. Luckily he has you, his guardian angel, to manipulate the track against his rivals and occasionally kick him in the pants with lightning. 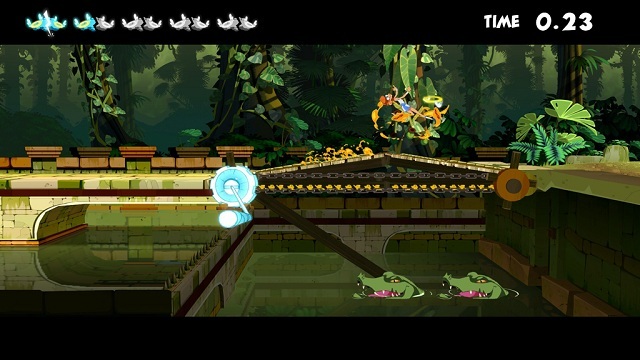 Harold twists side-scrolling racing with urgent puzzle-solving into its environment. New screenshots from developer Moon Spider Studio’s upcoming Harold have washed up, showcasing the sandy shores of the “Beach” courses. Players can expect to guide the hapless Harold across this and other vibrant environments in the platforming-puzzle-racer hybrid coming to “consoles” and PC later this spring. The first effort from the Florida-based developer, Harold puts the player in the role of Gabe, the titular sprinter’s guardian angel who must protect his charge through the multiple paths of each course en route to the finish line. By manipulating obstacles, disarming pitfalls and “motivating” Harold with angelic abilities, players must purportedly act fast to not only achieve the best time, but save Harold from his biggest threat — himself. Touting humorous gameplay and a casual curve that’s difficult to master, Harold aims to deliver a dynamic experience for players of all types. However Harold ends up finishing, he’ll certainly look good doing it. The downloadable title’s hand-drawn visual style has been crafted by Moon Spider Studio’s stable of artists and animators whose credentials include the world-renowned Dreamworks, Pixar and Studio Ghibli. If these new screenshots are any indication, Harold‘s shaping up to be a beautiful game. Check out the full gallery after the jump.